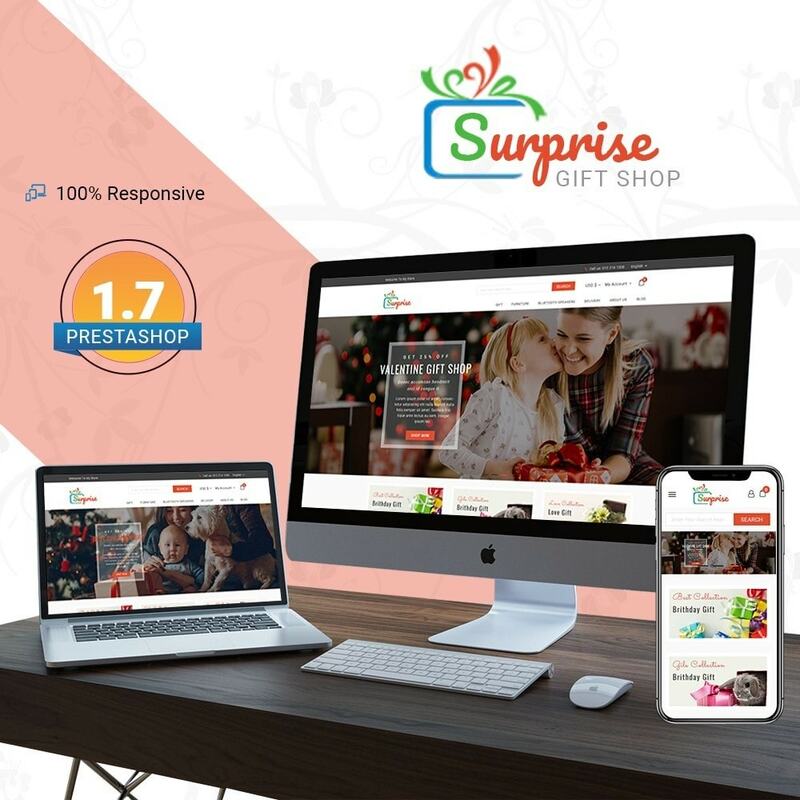 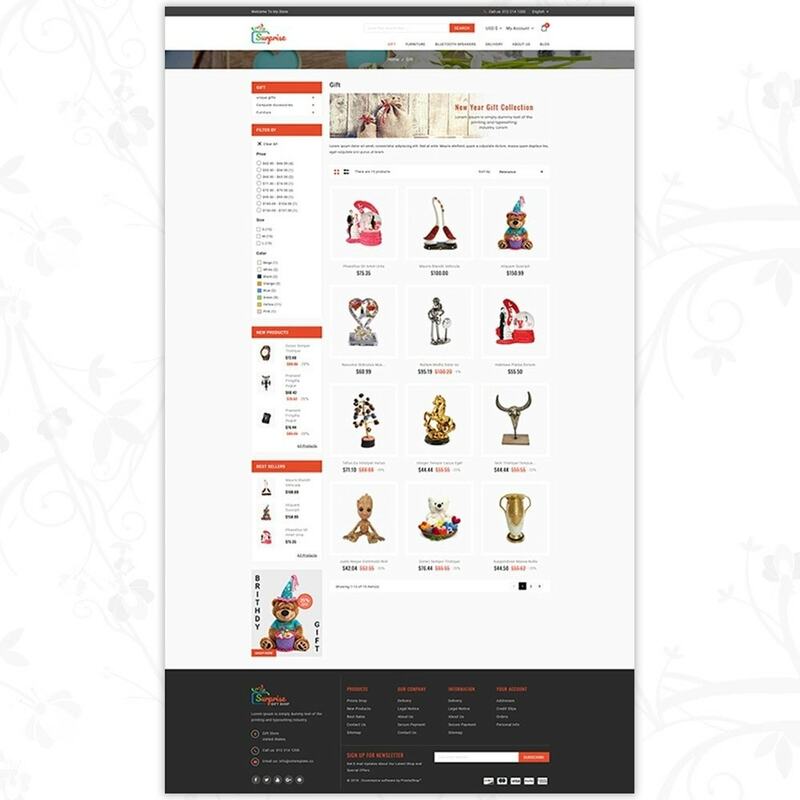 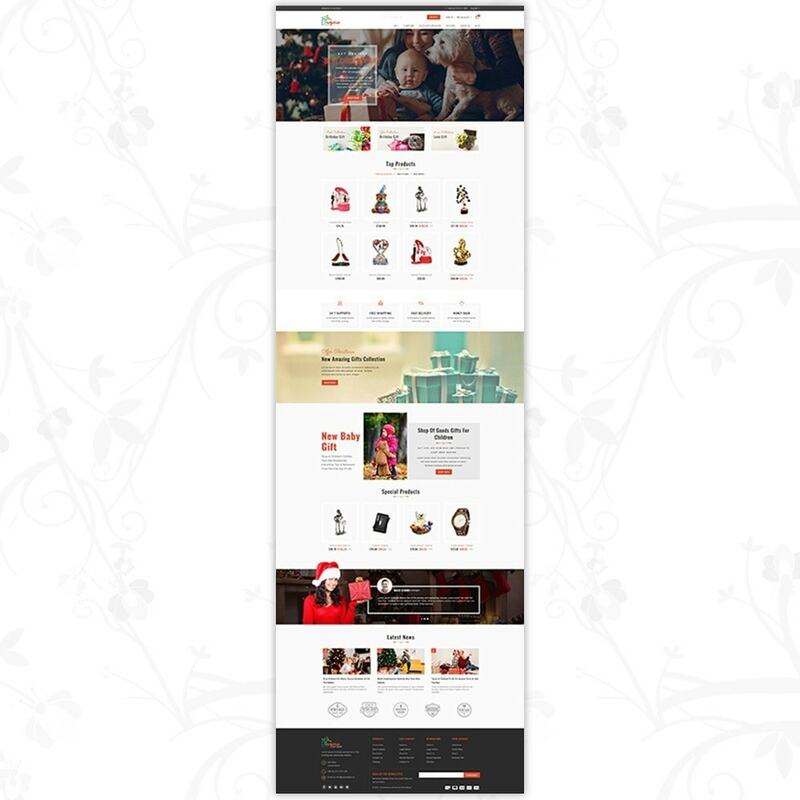 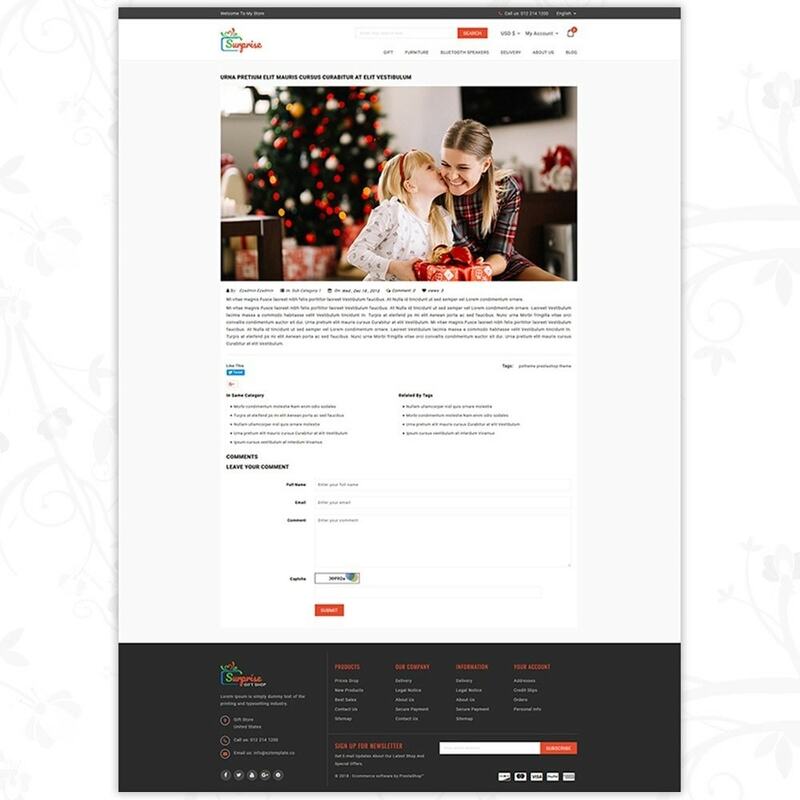 Surprise - Gift Store is a fully responsive eCommerce website template for selling gift products online with a neat & clean design, also built with best SEO practices in mind. 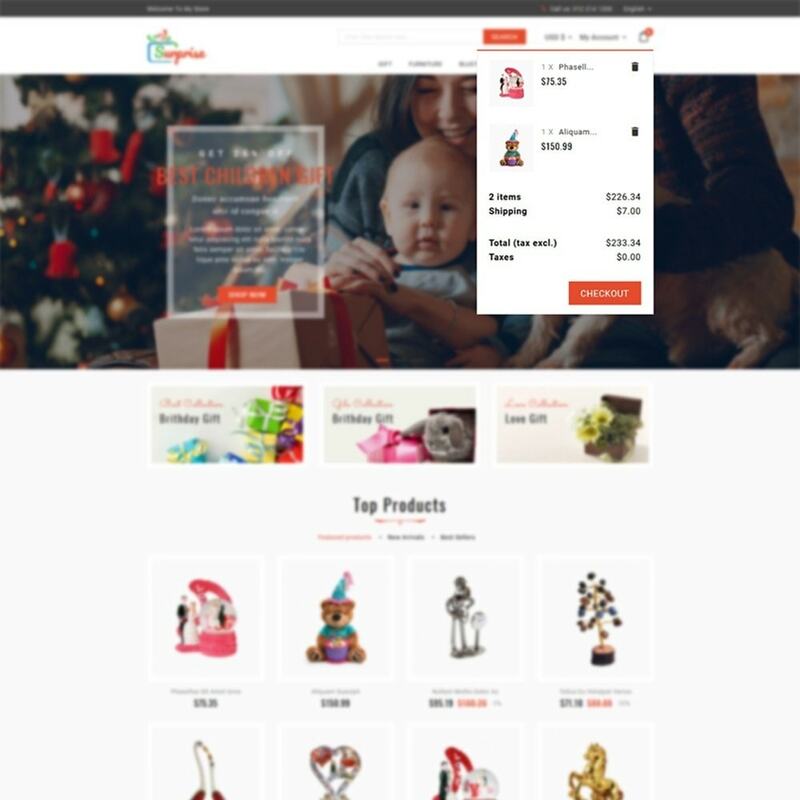 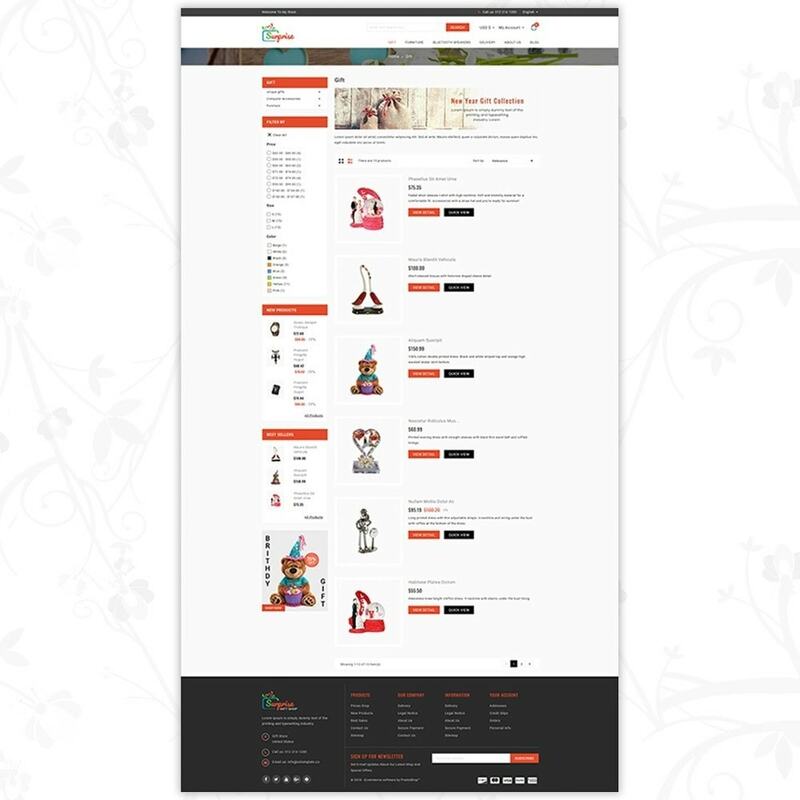 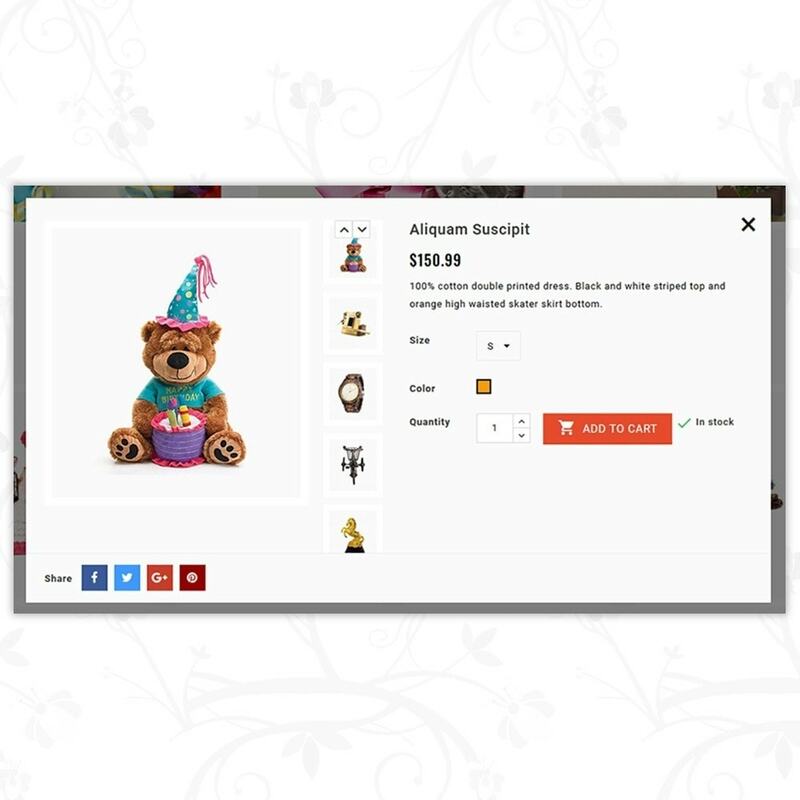 Online Gift store, Christmas gifts, Wedding gifts, Anniversary gifts, Birthday gifts and many more products can be sell from this website. 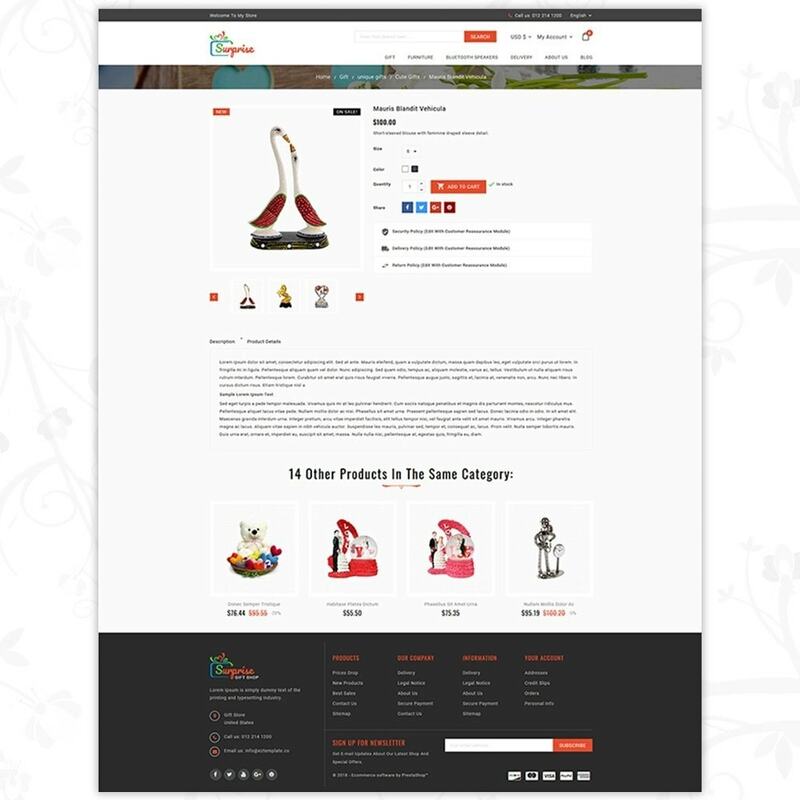 I got very good support from developer so I think my experience will be helpful and make the product better.